Since 2012, Uber has connected over 3.8 million people in Australia, with the people and places they care about. From your front door to Fringe—and everywhere in between—Uber will get you to where you need to be, reliably and on time. We’re thrilled to team up with Adelaide Fringe to make sure you don’t miss a moment of festival action! Held from 15 February – 17 March 2019, the southern hemisphere’s largest arts festival is set to dazzle audiences with a sensational program of cabaret, comedy, music, art, performance, and circus acts. To celebrate our partnership as the official ride of Adelaide Fringe, we’re giving away tickets to this season’s greatest shows! Open your Uber app, scroll down to ‘I want to win Adelaide Fringe tickets!’, tap the link to opt into the competition and tell us in 25 words or less what you love the most about Uber. Ride with Uber in Adelaide during the festival dates (15 Feb – 17 Mar 2019). We’ll select the best answers based on their creativity and humor on the 21st and 28th of Feb and the 7th of March. When you arrive at Adelaide Fringe, your Uber driver-partner will drop you off at the Uber zone located at Fringe Corner, which is our dedicated area for safe and convenient dropoffs and pickups. When you’re ready to leave the festival, simply head to the Uber zone at Fringe Corner and your driver-partner will meet you there. You can find the zone on the corner of East Terrace and Rundle Road. For more info including a map, check out the Adelaide Fringe digital guide. Ready for your escape act? Check out our tips for to ensure you enjoy a smooth and hassle-free Uber pickup, especially at busy areas or at major events with crowds. 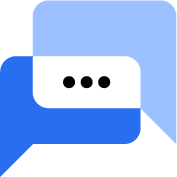 Tap ‘Any pickup notes’ to choose a pre-written message, or send your own. Uber’s Spotlight feature lets you stand out of the crowd, so you know you’re getting into the right ride, every time. Here’s how it works: once you’re matched to a driver-partner, simply tap the Spotlight coloured button in the bottom right corner of the app and follow the prompts. As your driver-partner approaches, simply hold up your unique Spotlight colour in your app. The driver-partner will see this same colour in their app, so they know to look out for the right rider. 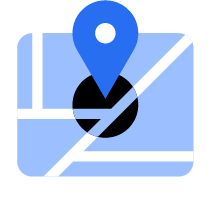 Type a new address or drag your pin to the correct location on the map. Tap ‘Confirm’ to complete your request. Download the free Uber app at UBER.COM/APP and use the promo code: ADLFRINGE19 to get $20 off your first Uber ride*. *New users only. Valid in Adelaide. Expires 17/3/19. Excludes Uber Eats. 2. The promoter is Uber Australia Pty Ltd (ABN 49 160 299 865) of 1 O’Connell St, Sydney NSW 2000 (“Promoter”). 3. Entry is only open to riders aged 18 years or over who take a trip in Adelaide between 15/02/2019 and 17/03/2019. Employees (and their immediate families) of the Promoter and agencies associated with this promotion are ineligible to enter. Immediate family means any of the following: spouse, ex-spouse, de-facto spouse, child or step-child (whether natural or by adoption), parent, step-parent, grandparent, step-grandparent, uncle, aunt, niece, nephew, brother, sister, step-brother, step-sister or 1st cousin. 4. The promotion commences at 6pm on 15/02/2019 and ends at 11pm on 17/03/2019 (“Promotional Period”). All times indicated are in Australian Central Daylight Time (Adelaide) time. 5. To enter the Promotion, you must complete the following during the Promotional Period: Jump into the Uber app and tap ‘I want to win Adelaide Fringe tickets!’ to opt into the competition. To enter, riders simply opt in, answer a question about Uber (tell us in 25 words or less what you love about Uber) and take a trip in Adelaide between 15/02/2019 and 17/03/2019. 9. The competition is a game of skill; chance plays no part in determining the winners. Winners are chosen based on [the best examples of why riders love Uber based on their creativity and humour) and will be selected by experts in brand and marketing. The selection of the winning entries will take place at 12pm on 21/02/2019, 28/02/2019, 07/02/2019 at 580 George Street, Sydney. The Promoter may select additional reserve entries and record them in order in case an invalid entry or ineligible entrant is chosen or the winner does not claim their prize. 10. The winner(s) will be notified by telephone and email on the day of the selection and their name will be published on uber.com from the date of the selection. 12. There will be 180 (60 winners each selection) winner(s) of the competition. The prizes for the competition are: 4x tickets to Adelaide Fringe Festival. The total prize pool value is $18,000 ($200 per winner). Prizes may have their own terms and conditions and any winner may be required to comply with those conditions. Prizes will be delivered to the winner(s) by prizes must be collected by the winners from the Adelaide Fringe Rundle Mall Box Office (https://adelaidefringe.com.au/box-office-hours). 13. Prizes are not exchangeable or transferable and cannot be taken as cash unless specified otherwise. 14. If the prize is unavailable, the Promoter, in its discretion, reserves the right to substitute the prize with a prize to the equal value and/or specification, subject to any directions of any regulatory authority. 15. Entrants consent to the Promoter and its affiliates using their name, likeness, image and/or voice in the event they are a winner (including photograph, film and/or recording of the same) in any media for an unlimited period without remuneration for the purpose of promoting this promotion (including any outcome), and promoting any products manufactured, distributed and/or supplied by the Promoter. 16. If this promotion is interfered with in any way or is not capable of being conducted as reasonably anticipated due to any reason beyond the reasonable control of the Promoter, including but not limited to technical difficulties, unauthorised intervention or fraud, the Promoter reserves the right, in its sole discretion, to the fullest extent permitted by law: (a) to disqualify any entrant; or (b) subject to any written directions from a regulatory authority, to modify, suspend, terminate or cancel the promotion, as appropriate. 17. Nothing in these Terms and Conditions limits, excludes, modifies or purports to limit, exclude or modify the statutory consumer guarantees as provided under the Competition and Consumer Act, as well as any other implied warranties under the ASIC Act or similar consumer protection laws in the state the selection is conducted (“Non-Excludable Guarantees”). Except for any liability that cannot by law be excluded, including the Non-Excludable Guarantees, the Promoter (including its respective officers, employees and agents) excludes all liability (including negligence), for any personal injury; or any loss or damage (including loss of opportunity); whether direct, indirect, special or consequential, arising in any way out of the promotion. 18. Except for any liability that cannot by law be excluded, including the Non-Excludable Guarantees, the Promoter (including its respective officers, employees and agents) is not responsible for and excludes all liability (including negligence), for any personal injury; or any loss or damage (including loss of opportunity); whether direct, indirect, special or consequential, arising in any way out of: (a) any technical difficulties or equipment malfunction (whether or not under the Promoter’s control); (b) any theft, unauthorised access or third party interference; (c) any entry or prize claim that is late, lost, altered, damaged or misdirected (whether or not after their receipt by the Promoter) due to any reason beyond the reasonable control of the Promoter; (d) any tax liability incurred by a winner or entrant; or (e) taking/use of a prize.